A vivid and perceptive book combining memoir, scientific and cultural history with a bewitching account of landscape and place, which will appeal to readers of Robert Macfarlane, Roger Deakin and Olivia Laing. Long captivated by the solid yet impermanent nature of ice, by its stark, rugged beauty, acclaimed poet and writer Nancy Campbell sets out from the world's northernmost museum - at Upernavik in Greenland - to explore it in all its facets. 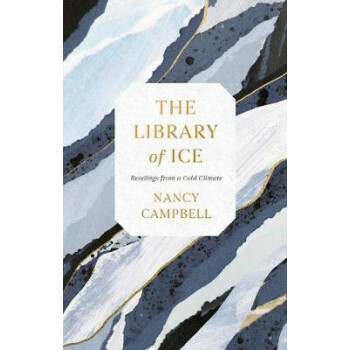 From the Bodleian Library archives to the traces left by the great polar expeditions, from remote Arctic settlements to the ice houses of Calcutta, she examines the impact of ice on our lives at a time when it is itself under threat from climate change. The Library of Ice is a fascinating and beautifully rendered evocation of the interplay of people and their environment on a fragile planet, and of a writer's quest to define the value of her work in a disappearing landscape.